Hi! I have a halogen spot ceiling light for sale - a track light head that is mounted on the ceiling. It is in perfect working order; I just replaced this single head with a track light when I first moved into my new condo (so this light fixture hasn't been used). 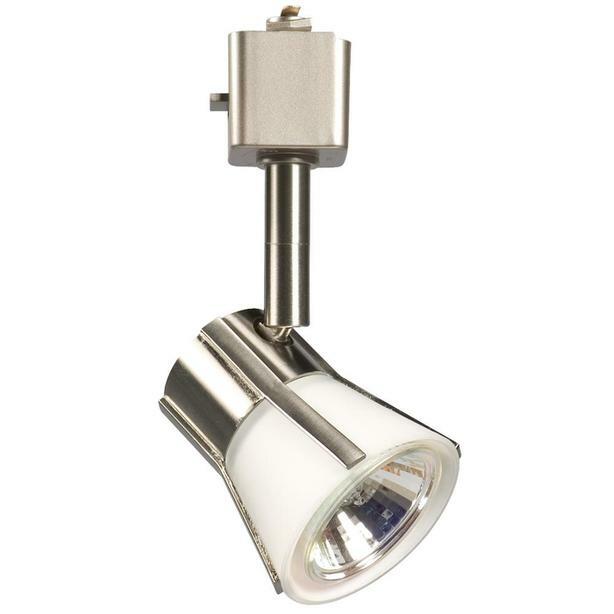 This light swivels in many directions and it is brushed nickel with white glass manufactured by Cartwright Lighting and distributed by Galaxy Lighting model 70335BN/WH. It takes one standard 50-watt halogen GU10 bulb (the really common ones). It measures 4.5"W x 4.5"L x 6"H.
Galaxy Lighting charges $40.00 + tax for a new light. I am asking less then half price - $20. I am located in Vancouver, BC but shipping is no problem. I will be happy to mail this ceiling light to you using CanadaPost and Interac bank transfer. So, if you are interested in purchasing, e-mail me and we'll figure out the logistics and/or I can answer any questions you may have. Thanks!